We’re throwing it wayyy back today. 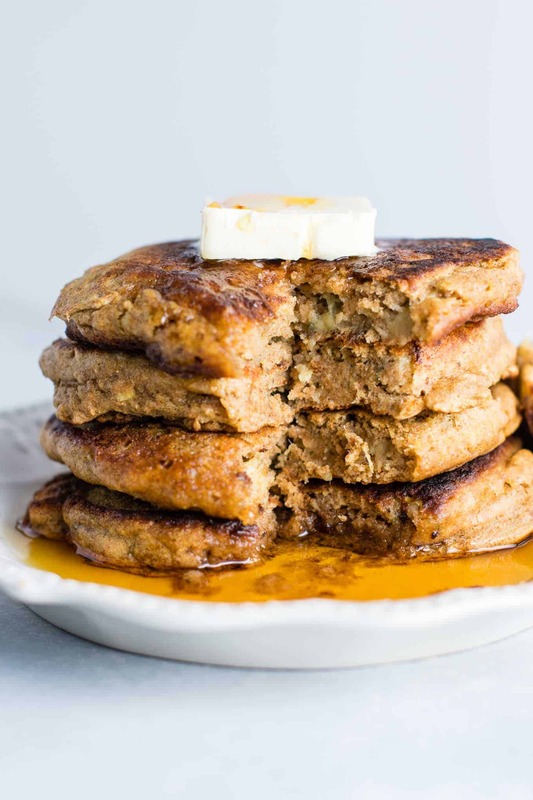 I first made these healthy banana bread pancakes way back in 2015. The pictures were very outdated, so I am revamping this recipe to share again today! 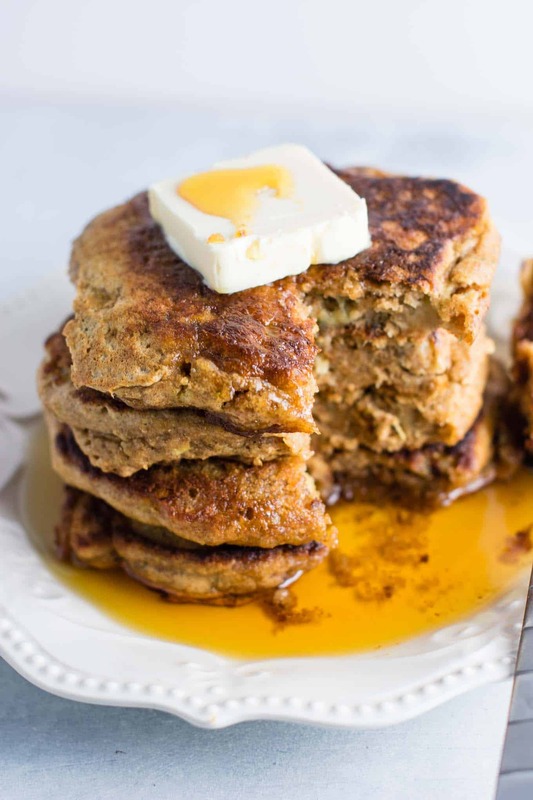 These banana bread pancakes are my go to pancakes. I’m not someone who often makes pancakes, simply because I prefer easy recipes. Luckily, these babies are super simple to throw together, healthy, and filling too. 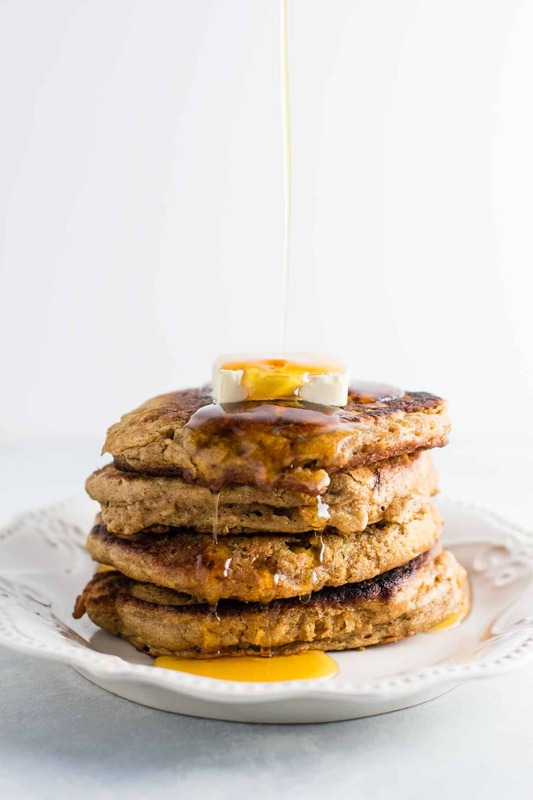 Pancake lovers rejoice! Cook pancakes on a griddle or large skillet, melting butter on the surface before each use. I know I’m not the only one who can’t make perfect pancake circles, but these are still so delicious even if they aren’t the prettiest. Every fluffy bite tastes like banana bread to me. 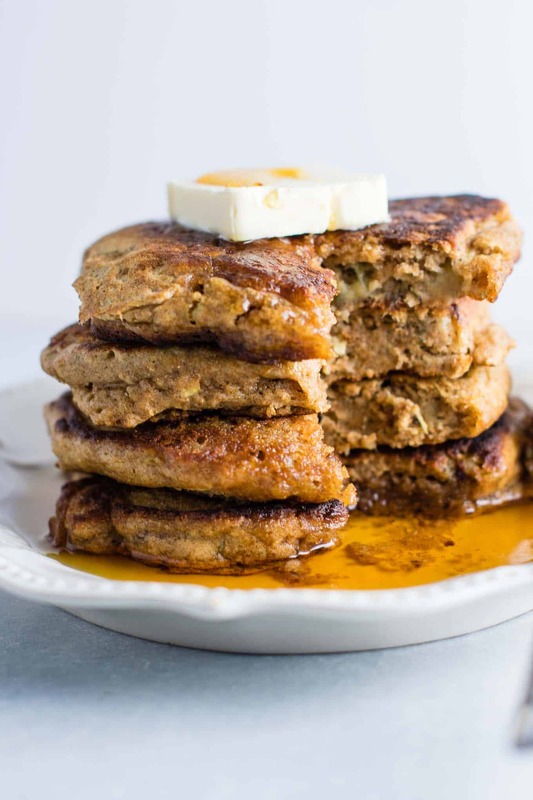 If you love banana bread, you’ll be all over these. 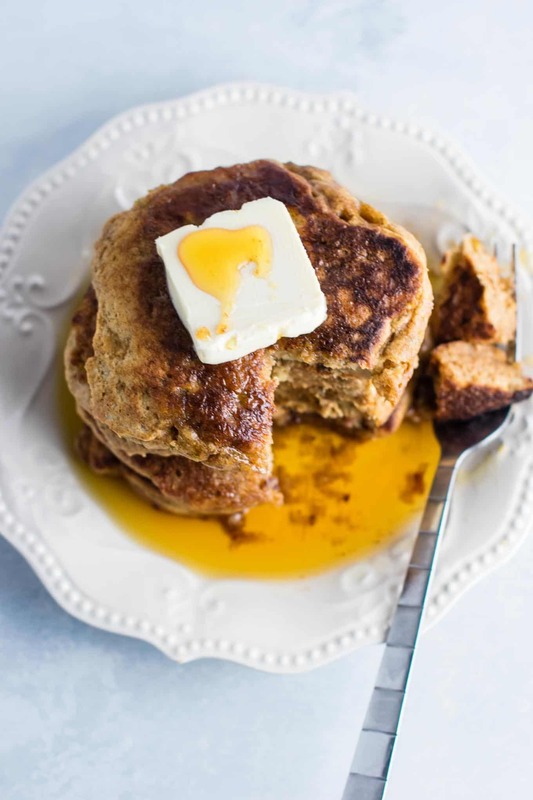 Top with butter and pure maple syrup for lightened up pure comfort food. The whole wheat flour makes these a lot more filling and I was full for hours after eating around 2 – 3 of these. So good. So easy. You can’t go wrong! Try these for a healthy and filling breakfast! LOVE these ingredients! 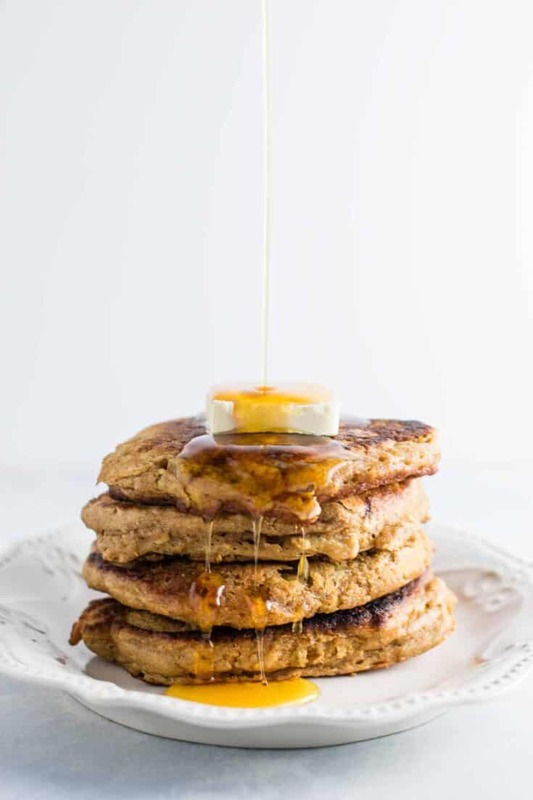 Banana and peanut butter are definitely one of my favorite combos (second to chocolate and peanut butter of course) so I’ll definitely be trying these soon! Thanks Liz! I agree – chocolate and peanut butter are THE best! I made these and they are amazing! They don’t taste healthy and taste just like banana bread! Thanks for the recipe! These pancakes were phenomenally tasty. 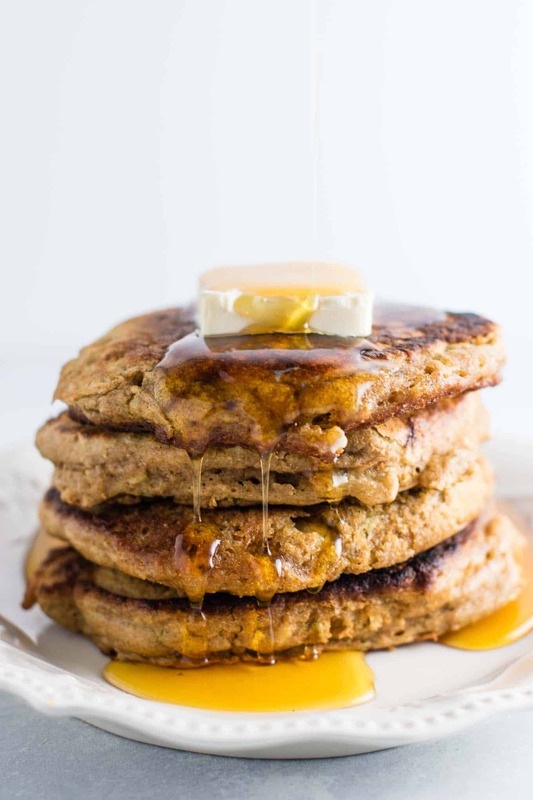 Golden brown on the outside, fluffy and flavorful on the inside. Thank you for sharing this recipe! I will be making these again! So glad you enjoyed the pancakes Nina, thanks for sharing!